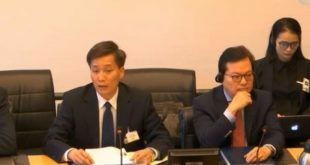 PARIS, 15th November 2018 (VCHR) – The Vietnam Committee on Human Rights (VCHR) welcomes the resolution adopted by the European Parliament in Strasbourg today on “Vietnam, notably the situation of political prisoners”. The resolution was tabled jointly by six major political parties from across the political spectrum [i]. The resolution, which comes at a time of unprecedented political repression in Vietnam “condemns the continuing violations of human rights, including the sentencing, political intimidation, surveillance, harassment, assaults and unfair trials in Vietnam perpetrated against political activists, journalists, bloggers, dissidents and human rights defenders for exercising their freedom of expression both online or offline, in clear violation of Vietnam’s international human rights obligations”. It deplores recent prison terms of 14 to 20 years handed down on human rights defenders, quoting from a database of more than 160 civil society activists currently serving prison sentences and 16 awaiting trial. The European Parliament also condemns Vietnam’s use and abuse of “repressive legal provisions” to restrict fundamental rights and freedoms, such as “national security” clauses in Vietnam’s Criminal Code, legislation restricting demonstrations and the new Cybersecurity Law. Noting grave violations of freedom of expression both online and offline, the EP reiterated “its call for an EU-wide ban on the export, sale, update and maintenance of any form of security equipment which can be or is used for internal repression, including Internet surveillance technology to states with a worrying human rights records” such as Vietnam. 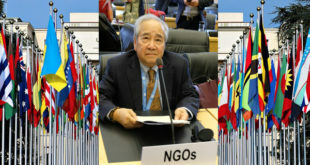 VCHR President Võ Văn Ái welcomed the Resolution, but expressed disappointment with the text: “The EP’s Resolution is falsely harsh. Whilst it rightly and strongly condemns the devastating human rights violations in Vietnam, it stops short of invoking the EU’s only leverage on Vietnam. 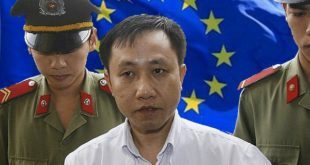 The MEPs should have spelled out in black and white that they refuse to ratify EVFTA unless Vietnam puts an end to its brutal crackdown on dissent and makes concrete progress towards the rule of law”. Indeed, the EP Resolution was adopted as Europe is finalizing an EU-Vietnam Free Trade Agreement (EVFTA) which requires the EP’s approval. Described as the most ambitious deal of its type between the EU and a developing country, EVFTA will eliminate over 99% of customs duties on goods. 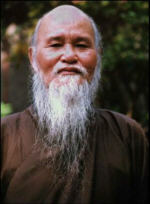 From the very outset, however, human rights were excluded from process. 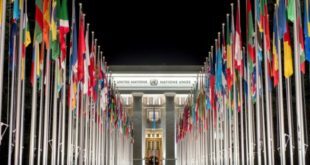 In 2014, the European Commission waived a mandatory Human Rights Impact Assessment (HRIA) that should have been conducted before negotiations began. Following a complaint filed by VCHR and FIDH, on 26 February 2016, European Ombudsman Emily O’Reilly concluded that the EC’s failure to conduct the HRIA constituted a case of “maladministration”. Despite this, the EC went ahead with negotiations, aiming for a “speedy ratification” of the accord. 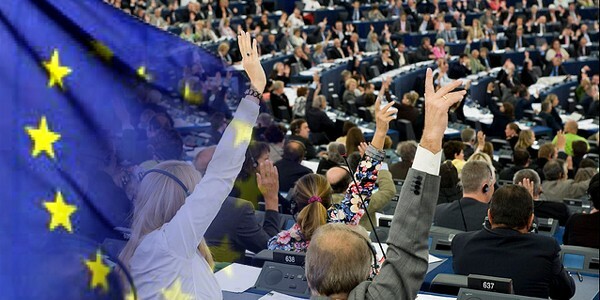 On 17 September 2018, 32 MEPs from different political groups wrote to EU High Representative Federica Mogherini and EC Commissioner Cecilia Malmström, urging them to “push for robust progress in Vietnam’s human rights record ahead of the possible ratification of the EU-Vietnam Free Trade Agreement”. Stating that “Vietnam’s current human rights record […] casts serious doubts about the country’s stated commitment to respect human rights”, the 32 MEPs set a number of benchmarks that Vietnam should meet before EVFTA is submitted to the European Parliament for approval, such as the release of prisoners of conscience, Vietnam’s adherence to core ILO conventions, the recognition of free trade unions, the repeal of national security provisions in the Criminal Code and the respect of freedom of religion or belief. “Unless Vietnam makes a good faith efforts to address these pressing human rights issues and demonstrates concrete improvements and commitment to respect all human rights before Parliament votes, it will be difficult for us to give our consent to the agreement”, they wrote. Moreover, on 7 November 2018, FIDH and VCHR sent an Open Letter to Commissioner Malmström stating that the EU-Vietnam Investment Protection Agreement (IPA) – formerly part of the EVFTA, now a separate agreement that is also under negotiation – contravened the EU’s human rights obligations by taking no account of fundamental freedoms and human rights. The organizations urged the EC to negotiate an additional protocol to the IPA which provides for an independent monitoring and complaint mechanism, obliges parties to protect civil society organizations that seek to address human rights violations stemming from trade and investment, and to respect international human rights standards and obligations. [i] Group of the European People’s Party (Christian Democrats), Group of the Progressive Alliance of Socialists and Democrats in the European Parliament, Group of the European Conservatives and Reformists, Group of the Alliance of Liberals and Democrats for Europe, Group of the Greens/European Free Alliance, Europe of Freedom and Direct Democracy Group.